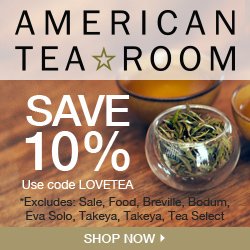 Home / Tips & Coupons / What is Tea? Where is it Coming From? How is Tea Made? What is Tea? Where is it Coming From? How is Tea Made? Tea — the most widely consumed beverage in the world after water — is a product of steeping the leaves or twigs of the tea plant, Camellia sinensis in hot water. The resulting brew has a slightly bitter, astringent flavor, with natural sweet notes. Enjoyed by hundreds of millions of people in all corners of the earth, tea originated in China as a medicinal drink where it was discovered by Portuguese merchants and clergy in the 16th century. During the 17th century tea became popular in Britain, which in turn introduced it in its colonies, India being one of them. All types of tea — green, black, white, or oolong — come from the same plant, Camellia sinensis. If left untouched this evergreen will become a small tree, reaching as high as 52 feet. However, most often it is kept short. I’d like to ad that the tea plant is named in honor of the Reverend Georg Kamel who was also known as Camellus. He was a jesuit botanist. Sinensis in Latin SIMPLY means “from China”. Touche. Great post. Keep up the amazing spirit.